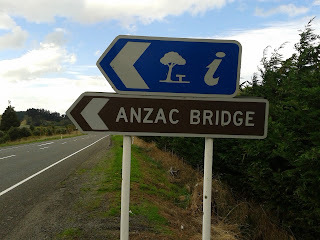 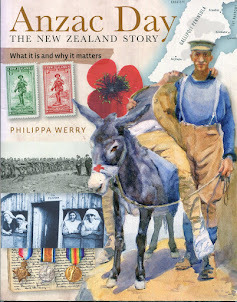 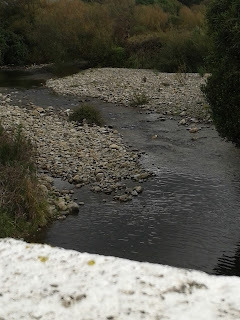 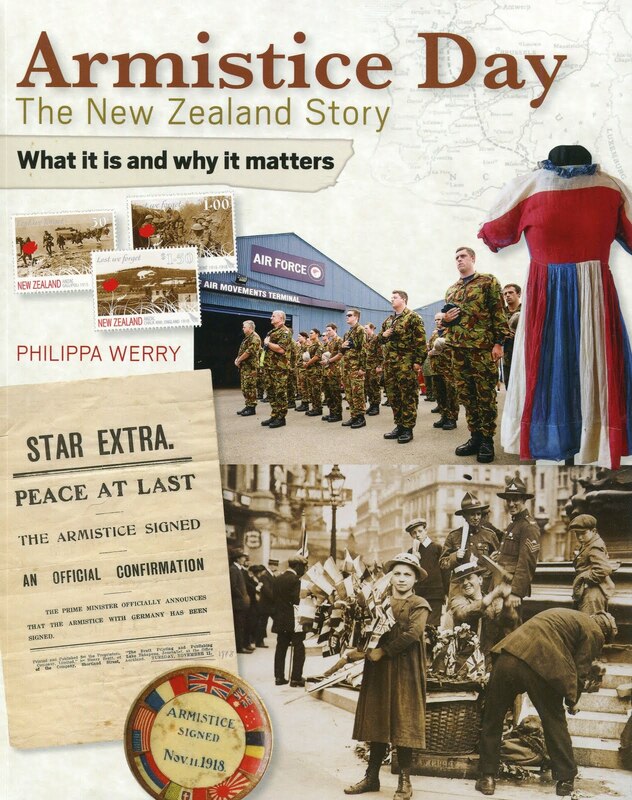 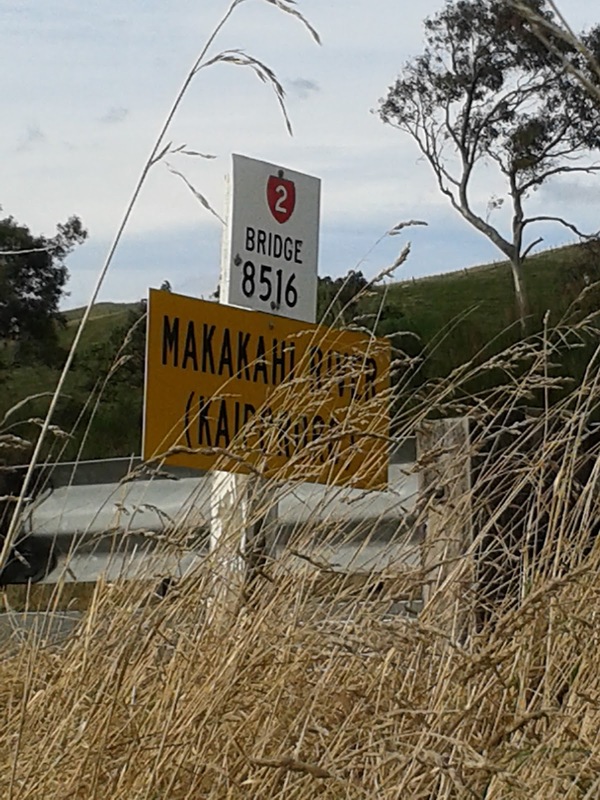 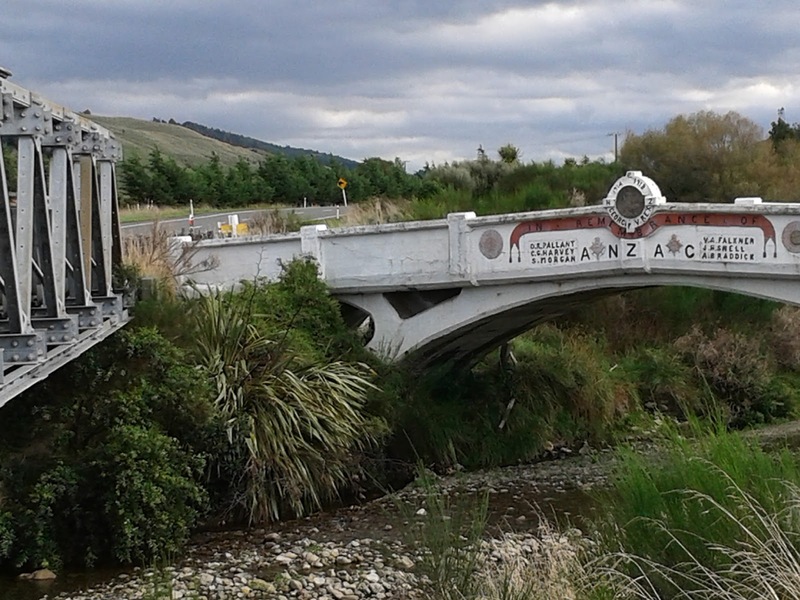 Yesterday afternoon I went on a walk to the Kaiparoro bridge, which is just up the road from NZ Pacific Studio. We'd been talking at Mauriceville school about what you might see, hear, smell, feel, taste and remember as you stood at the bridge, and the students came up with such great ideas that I wanted to go back and experience them again. 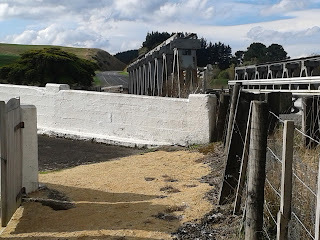 These are the two bridges, old and new, side by side. 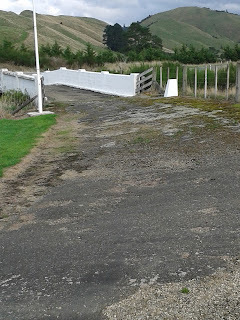 And this must have been the old road (now part of the car park), leading up to the northern side of the bridge. 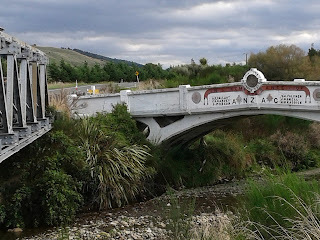 One comment often made about the bridge is that it became an act of remembrance every time someone drove over it. 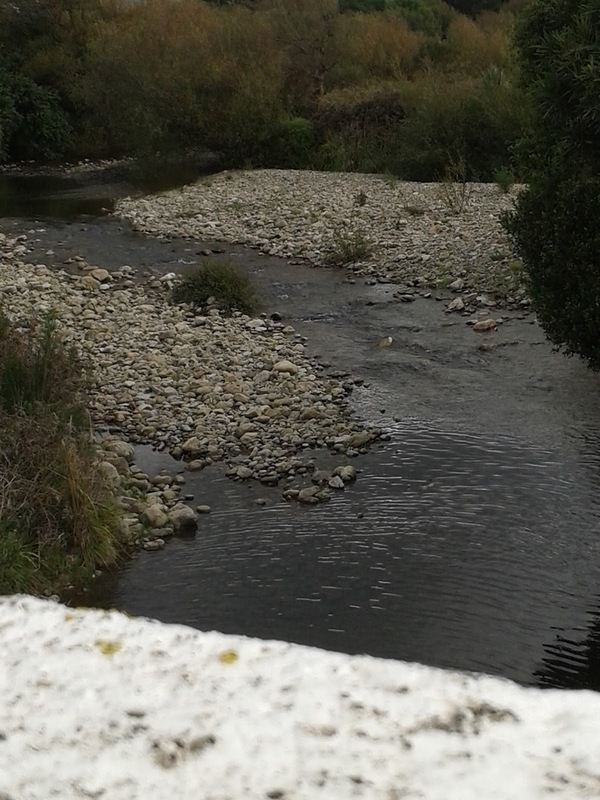 Despite the busy road, it is still a very peaceful spot.